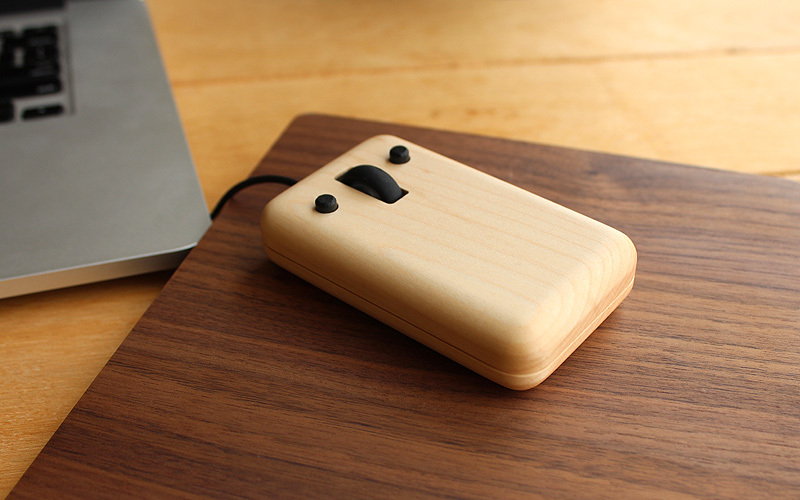 This charming optical mouse with beautiful grain patterns is carved out of solid wood. 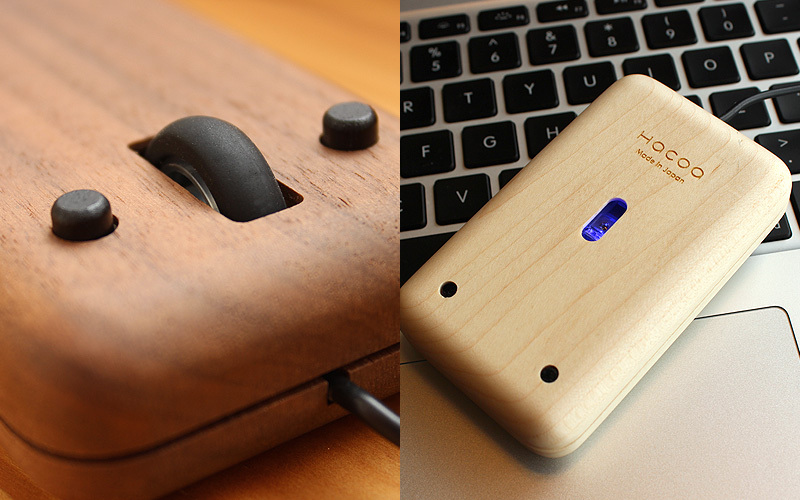 Even its click buttons are made of wood and encourage playful ideas with carefully crafted finish. 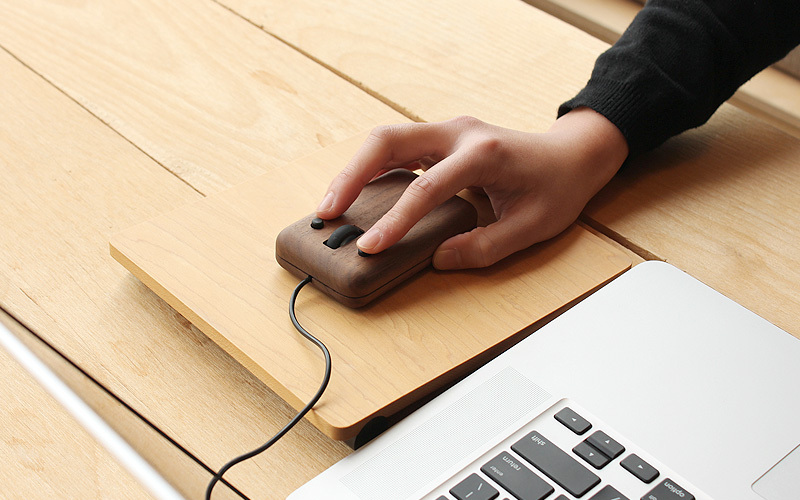 Unlike plastic computer peripherals, the ergonomic fit against your hand adds relaxing and comforting feel to your working space.